AKC Major Pointed Brassy Acres Small Town Hero "Sawyer" and Brassy Acres Wings Of Love "Ravin" have these 3 gorgeous boys available! All are so fun loving and love attention! Current on vaccines and deworming and ready to go! Click Here to see past Brassy Acres Puppies!! At Brassy Acres we strive to only breed QUALITY dogs! A lot of research went into choosing our breeding dogs and they were chosen for their dispositions as well as there conformation and pedigrees. Our breeding dogs will have had all of their health clearances done and will have been found free from genetic and hereditary disease prior to being bred. We realize there are cheaper puppies out there, however a lot of time and money goes into making sure we have quality puppies that are free from defect and live happy healthy lives for 15 years or more!! If you decide to not buy a puppy from Brassy Acres or we don't have what you are looking for we would be more than happy to direct you to another reputable breeder who might have what you are looking for. If you find another puppy somewhere else just please make sure their dogs have had all of their testing done and ask to see the results. Your puppies life might depend on it!! All of our puppies will have had their tails (unless a natural bob tail)and dews done by a licenced veterinarian and will have been wormed . All of our puppies will have had their first shots. Although we do our best to estimate the height of the puppy at maturity, we can not guarantee the actual size at maturity. If at anytime the purchaser is unable or chooses not to keep the puppy, please contact us first! We will be happy to help place the dog into a good home or will take it back. No refund of money or a replacement will be given under these circumstances. At no time should you take your dog to an animal shelter. We will always take them back. All of our puppies are sold as pets only on a spay/neuter contract unless otherwise discussed! Breeding rights with full registration available on select dogs to special homes for an addition fee. 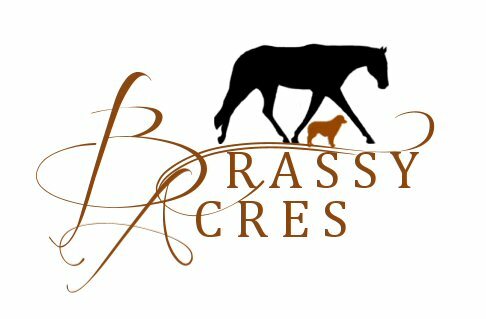 Brassy Acres is a Registered Kennel name. The first words on the Registered name of all Puppies will start with Brassy Acres. Pups are reserved in the order the deposits are received. Deposits are a measure of good faith, that you, the Buyer, intend to purchase and are nonrefundable.